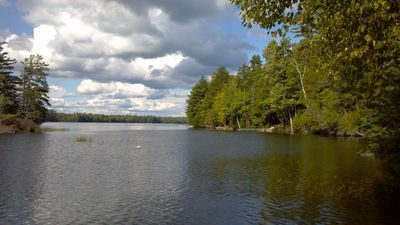 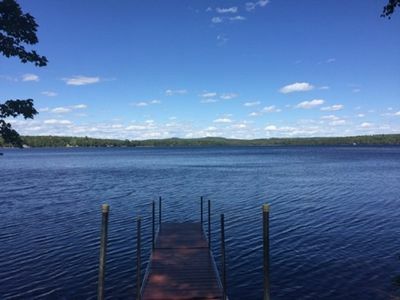 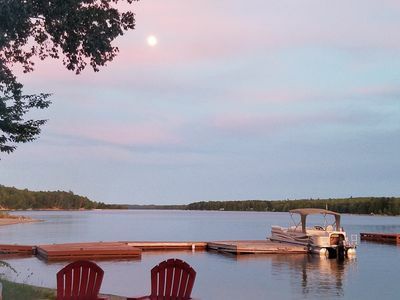 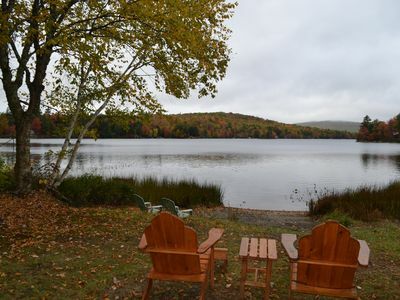 Experience all that Maine has to offer with your family on pristine Phillips lake. 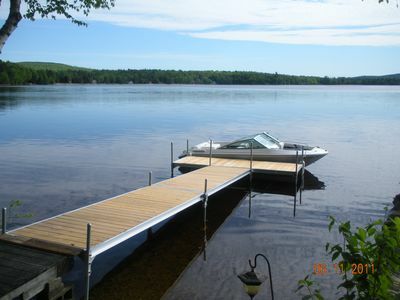 Enjoy the long summer days swimming, fishing, kayaking, or just relaxing on the water. 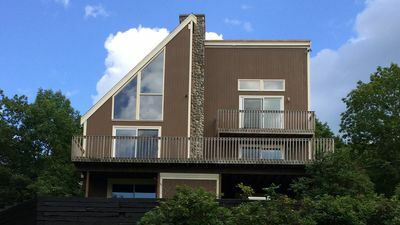 This private cabin has floor to ceiling windows providing a stunning view from the great room. 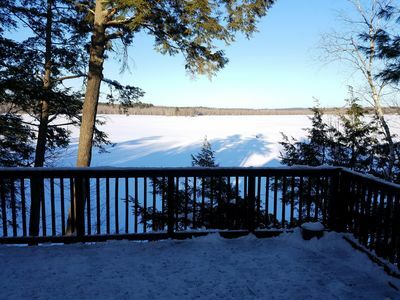 Elevated deck provides equally fantastic views. 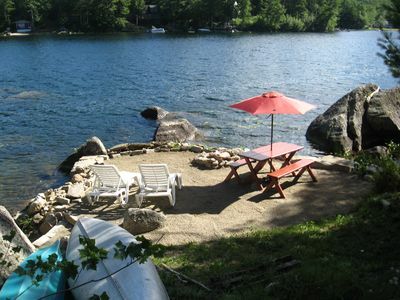 Enjoy the water with 150 ft of shore front and beach for swimming. 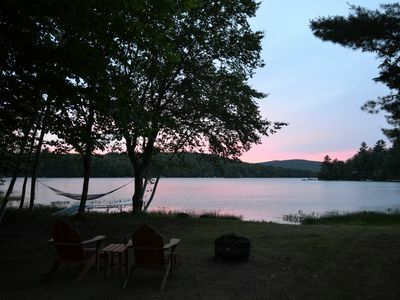 Spend evenings around the fire pit roasting marshmallows, telling stories and recalling the day. 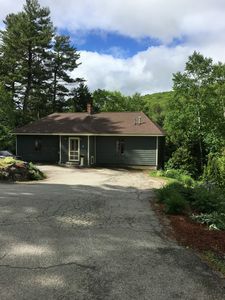 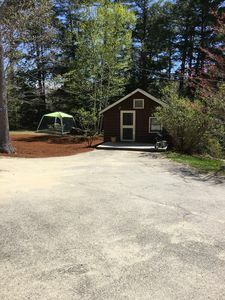 Conveniently located just minutes from Bangor and only 35 miles from Bar Harbor and Acadia National Park day trips to Maine prime attractions are easy. 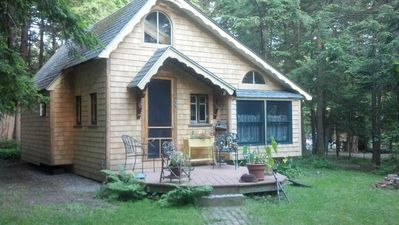 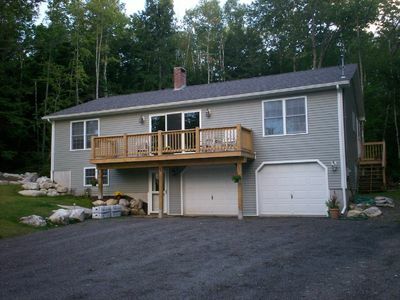 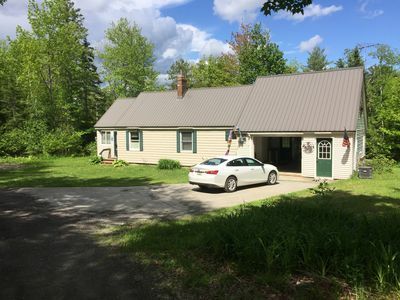 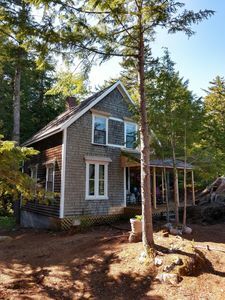 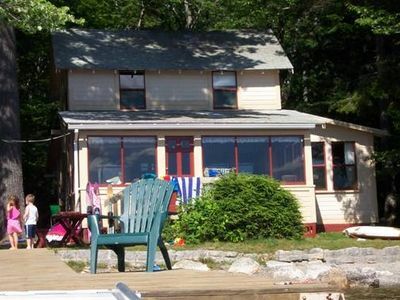 This 2 bedroom cabin has everything you need to create a memorable Maine vacation. 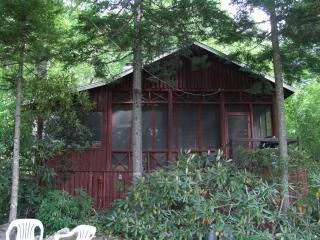 Queen beds in each bedroom, two twin beds in loft, and a futon couch provide enough sleeping for everyone. 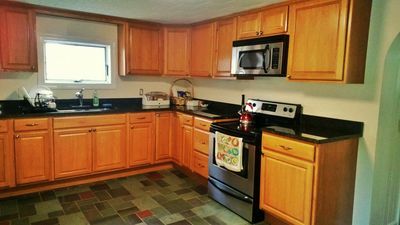 A full kitchen for all your cooking needs as well as outdoor grill. 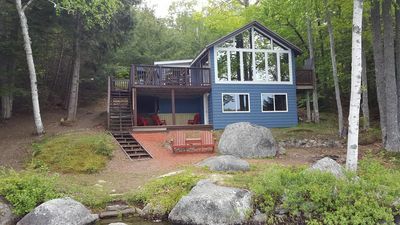 Cozy waterfront cabin with amazing year round fishing! 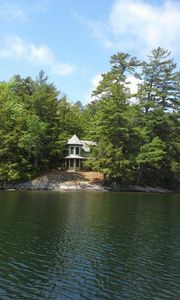 Perfect Lakefront Getaway ~ Beautiful Private Setting! 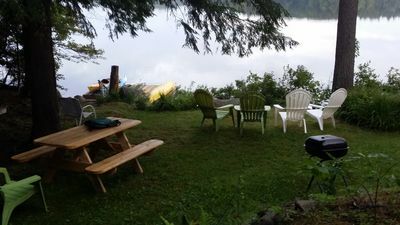 Updated camp on Madagascal Pond that sleeps 7.